My outdoor/indoor cat has been missing for two days. We live in Westmoreland shores near colonial beach. 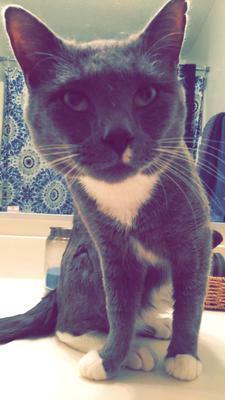 He is neutered and gray with white markings. He is very friendly. We let him out when the weather was very nice for the first time since moving here this winter and I think he is lost. Please call 540-840-0563 if spotted.